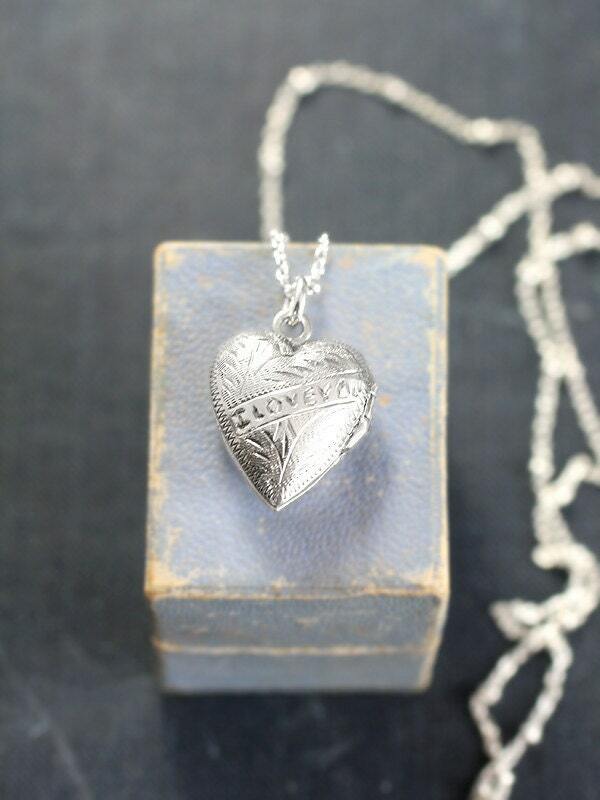 A beautiful vintage sterling silver heart locket has the words "I LOVE YOU" inscribed on both sides along with textural vine engraving. 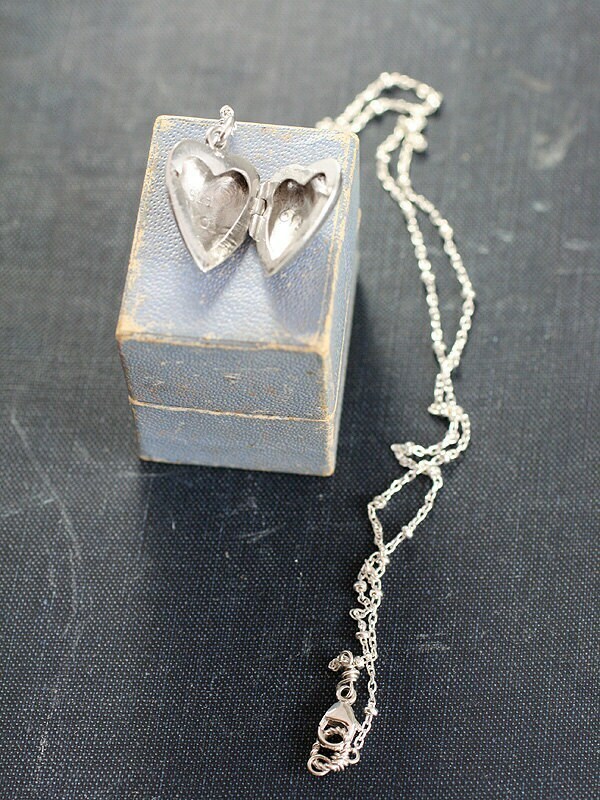 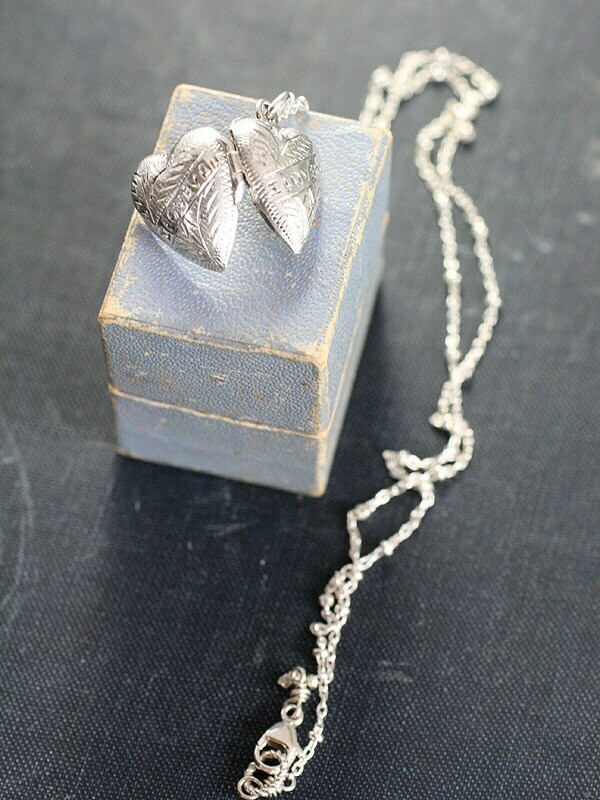 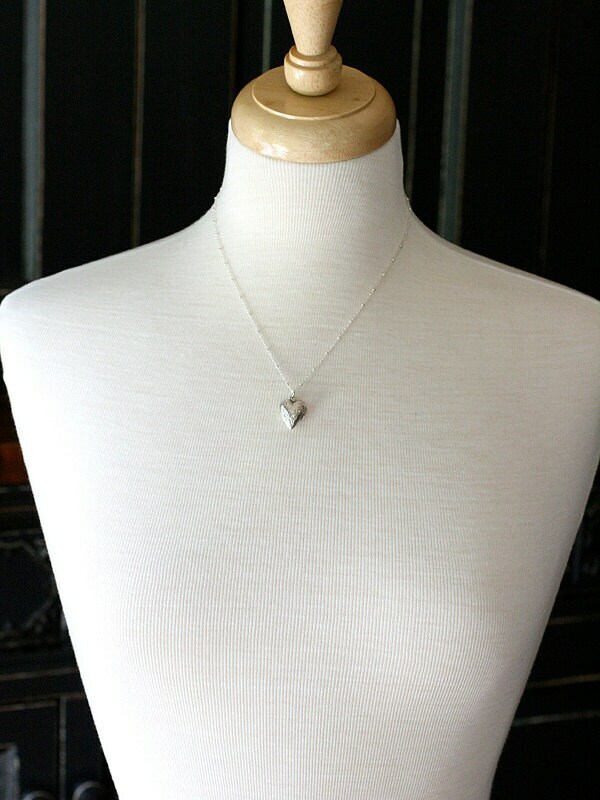 The small heart shaped locket opens to hold two beloved photographs. 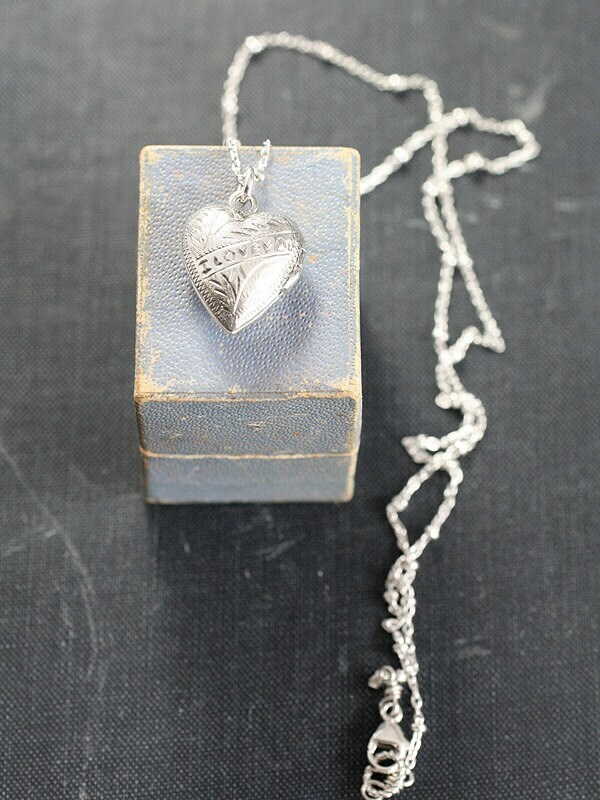 The locket dangles from a new beaded chain of sterling silver hand finished with a trigger clasp and ring.